Abandoned shopping carts hold trillions in unspent dollars. How can online retailers stop losing these customers right before they make the final click? It all comes down to mastering the abandoned cart recovery process. E-commerce began as a buying experience, rather than a browsing one. In those early days, retailers were afraid to lose emotionally driven impulse purchases. Internet shoppers were asking for tailored merchandise at cut-rate prices and skipping the sales bins, end caps, and displays. But along came new kinds of e-stores and then mobile devices. Today’s shoppers browse a website in two-minute segments using a phone or tablet. Most consumers plan to buy later from their desktop or at a brick-and-mortar store. But browsing now and buying later has led to a nearly 70% cart abandonment rate that confounds retailers and results in massive numbers of lost sales annually. The problem of abandoned carts shows no signs of abating. Between 2015 and 2016, cart abandonment rates increased by 8.4%. That translates into about $4 trillion worth of merchandise left in abandoned baskets each year. Why are shoppers walking away at the last minute? Research shows that when a buyer who plans to buy hits the pause button, it’s often because they encountered unexpected extra costs, were forced to create an account, or had to navigate a complex checkout process. Weekends and evenings see the highest abandonment rates with nearly nine out of ten carts left unpurchased on Saturdays and Sundays. Retailers are losing big in the e-checkout lines every year. But there are proven, effective strategies that can help limit and recover abandoned carts. We created this complete guide to help you master the abandoned cart recovery process. People who abandon their online shopping carts were just clicks away from buying your product. That means cart abandonment isn’t a problem with top-of-the-funnel marketing. It’s your purchase-ready buyers who are jumping ship at the last minute. Well, shoppers hesitate for several reasons. An extended page load time can drastically impact cart abandonment. A study by Radware showed that a two-second delay in load time ramped up cart abandonment rates by 20%. Load time is not all that causes customers to click away, though. Other research says expensive and unexpected shipping costs, mandatory registration, and missing security badges factor into a customer’s decision to abandon their baskets. For e-retailers, cart abandonment is both a threat and an opportunity. It can result in serious revenue loss or in a chance to win back a vacillating or forgetful customer’s business. 1. Simplify your checkout process. The Baymard Institute estimates that retailers could recover $260 billion by optimizing their checkout process. What does a customer-friendly checkout process look like? It starts with a simple checkout form. According to Baymard, 27% of customers have abandoned a cart because the checkout process is too long and complicated. Most e-commerce checkouts require five or more steps, but the optimum is just three. Most forms have about 15 fields to complete, but half those fields could be cut without significant data loss. A simple, streamlined process with a few steps limits the data your team can collect, of course, but it also reduces friction at the bottom of the sales funnel. Customers who have a positive experience are more likely to return, and you can collect additional information on their subsequent trips. Your most important information is the email address. To boost email captures, make sure that the email field comes first in your form, even before the name. Guest checkout can be a great option, too. Customers feel daunted when facing a lengthy series of forms, usernames, passwords, information checks and rechecks, and more. It’s easier to click away and find a retailer that doesn’t require them to submit their blood type, ancestral residence, and the middle name of their childhood pet in order to buy a single product. Even when using a short form or guest checkout, customers find markers helpful. Bold, colorful arrows, buttons, and images can help users navigate your checkout form. A progress indicator such as an hourglass can also encourage customers to stick with a longer form. Design your form with the customer’s experience in mind. Does the form feel daunting to you? It probably is. Does it seem so long that you begin to question its trustworthiness? Your customers will do that, too. 2. Ensure a secure checkout. Doubting a page’s security causes 19% of buyers to abandon cart at checkout. Make sure your trust marks are clear and visible. Use recognized brands such as Visa, Mastercard, Google, Sitelock, and Paypal. Select your security for your ideal customer persona. Women tend to trust the Better Business Bureau while men prefer to see Mastercard or Visa’s logo. Millennials value Google Trusted Stores while seniors prefer Paypal. Don’t forget to make authentic customer reviews easy to see and access near the checkout point since those add credibility. 3. Avoid surprises around final price. It’s important to minimize any surprises at the final steps of checkout. Surprises often happen with costs associated with shipping and handling. Research shows that 44% of customers cite high shipping costs as the reason to abandon their carts. Recovery may mean offering free, discounted or flat shipping rate above a specific value threshold. With Amazon setting the pace through its Prime program, customers now expect every delivery to be fast, free, and easy. That’s also what consumer often expect from a buying process. 4. Understand root cause for abandonment. The best way to address the various cart abandonment is to understand the root causes for why it’s happening to your online store. A good way to do that is to track your visitor path and behavior as they move thru the checkout process. Google Analytics tracks who are making purchases on your site, what they’re buying, and how they’re paying for it. It’s a completely free service with a strong reputation for reliable data collection and analysis. To get started using Google Analytics, choose between Standard Ecommerce Tracking and Enhanced Ecommerce Tracking. The Standard option gives you simple data about what customers do. Enhanced Tracking looks at the processes behind customer decisions. It’s easy to enable e-commerce on Google Analytics and then add tracking to your website. To track your funnel, you need to install the proper code on your site. Once that’s done, you can start tracking. Google Analytics will tell you about revenue, quantity, e-commerce conversion rate, unique purchases, and transactions. Use your data to do a 5 Whys Analysis with your team. It is a simple methodology that requires no technology, sophisticated data collection system, or even statistical methodology. You simply repeat the question “why” until you get to the bottom of your data. It lends insight into the subterranean thoughts and feelings that motivate behaviors. 5. Set up 3 must-have abandoned cart recovery emails. Remember that your customers are browsing before buying. They often browse in short spurts while at the office, riding in the car, or even using the bathroom. Some browse while sitting in bed before going to sleep. Most do not buy on the same device they browse on. Either they prefer to use a bigger screen for buying or they simply want to take some time to consider their purchase. Maybe they got distracted. One study suggests that 24% of shoppers are saving their purchases for when their next paycheck arrives. 75% of customers who put an item in a cart and then abandon it originally intended to buy it later. But only 10-30% actually do. That’s why reminder emails are key to cart abandonment reduction. What content should your abandoned cart recovery emails include? A creative subject line, a list of items waiting to be bought, and a powerful call to action. Some email marketers add a coupon or promo code to the second email sweeten the deal. The best converting coupon for many e-commerce owners has been the “free shipping” one. As its high conversion rate testifies, setting up a remarketing campaign is crucial. Very, very small e-retailers – a single person selling a few items out of a garage, for instance – can do these campaigns manually. Once your company achieves some size, however, remarketing campaigns for abandoned carts need to be automated using a third party tool such as ContentPigeon. Remarketing campaigns comes in various forms. Email is the most cost-effective remarketing strategy you can choose, and it targets customers who have displayed an intent to buy. Still, display ads, such as a Google Display Ad, or promoted content on social media can encourage shoppers to return to your site. Google Adwords has a +remarketinglist button that can help you get started personalizing those ads. Facebook also makes your remarketing strategy easy by letting you including your checkout page’s URL in the ad. Thanks to its image-heavy platform, Instagram can be a great reminder tool, too. Remember, these remarketing emails and ads aren’t sales pitches. You’ve already convinced the customer of your product’s value. This is a friendly reminder, a chance to engage in dialogue, and an honest chat with a good friend. Some social marketing experts choose to spend 100% of their budget on remarketing. Why? It is cheaper and converts better than trying to reach completely new customers. After all, it’s easier to persuade those who already demonstrated buying intent than it is to flag an entirely new customer. 7. Unlock more sales with marketing automation. While email marketing automation sounds robotic and impersonal, it doesn’t have to be. Your copywriter can draft friendly, informative prose and your designer can add pizzazz with intriguing colors and figures. The content of your messages can be highly personalized by including dynamic elements (not limited to your recipients’ first names) that speaks to your audience. It’s your delivery that needs to be automated. Automation can help you segment, engage, and convert your almost-buyers into buyers. It can also let you optimize your content, and this process demands continual optimization. The more time you spend optimizing an email campaign, the more it will give back. 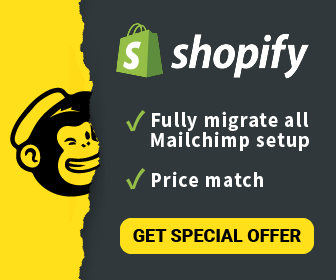 Besides, as an e-retailer, you can boost your e-shop’s revenue with a complete, automated, and sophisticated e-commerce suite that integrates with platforms like Magento and Shopify. Keep in mind that automation is part of a full professional process. Your abandoned cart emails need to be drafted by a seasoned copywriter, include graphics from a designer, and be laid out by a knowledgeable email marketer. A polished user experience converts better, achieves greater abandoned cart recovery, and that starts with automation. Abandoned carts are a serious problem facing online retailers. You can control many factors that go into a customer’s decision to abandon a shopping basket, however. Review your shipping policy, optimize your checkout process, and engage your consumer through remarketing emails. By reviewing and optimizing the abandoned cart recovery process for your store, you can make a big dent in those pesky cart abandonment numbers.